This work was done for George on his Japanese PC Engine Duo console. 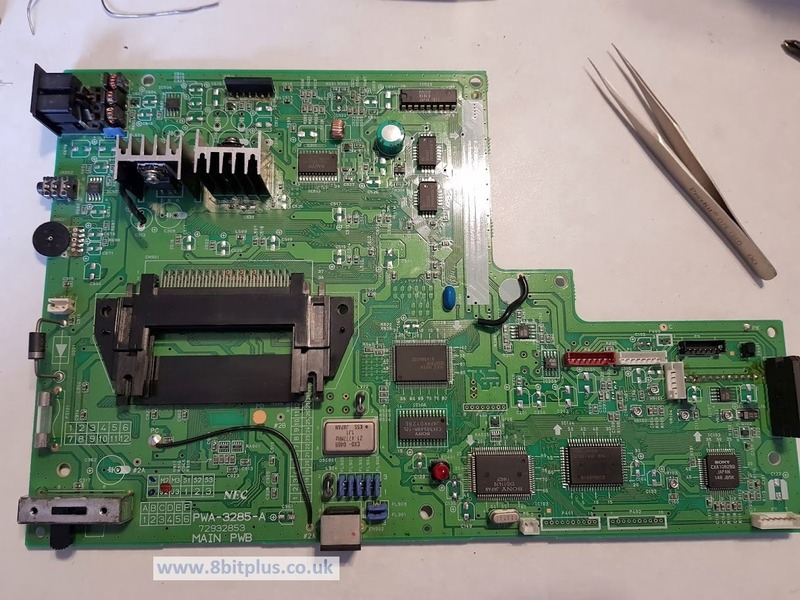 Requirements: Full motherboard capacitor replacement, RGB mod, Region mod. The PC Engine Duo is a fantastic console. One of my favorites. 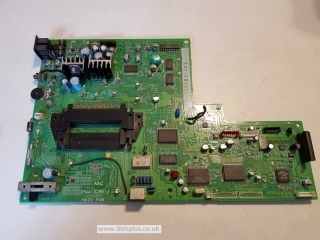 The Duo on this page had been sent to me for a full service and restore the functions of the CD Rom drive which was not working. The work also included replacing all the original capacitors, adding an RGB video amplifier and region mod with switch. 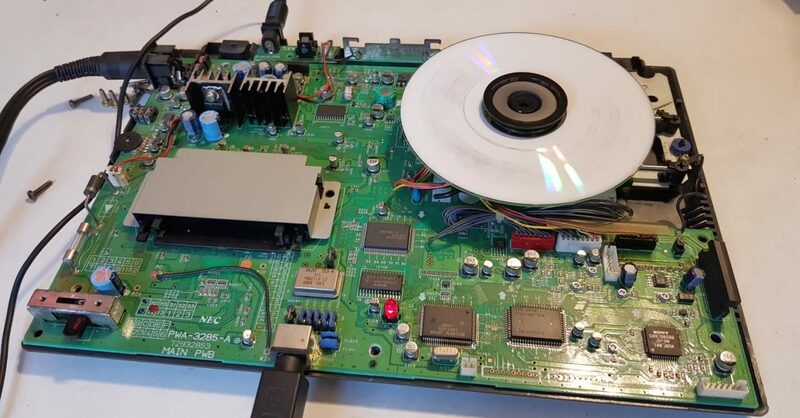 The console was in good overall condition for its age, and played game cards (HuCard) correctly, but the CD-Rom drive clearly needed attention. Even before I switched it on I could tell something was wrong. When placing a CD in the drive, the disc was in contact with the plastic cover for the laser track. 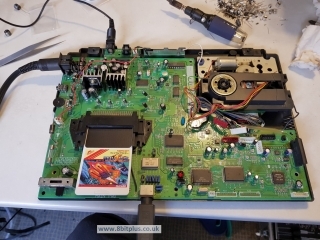 Firstly I removed the top cover of the console and the drive mechanism cover. 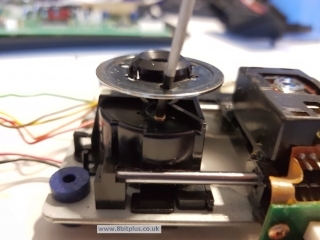 Then placed a CD on the spindle with the magnetic holder on top (removed from drive lid cover). 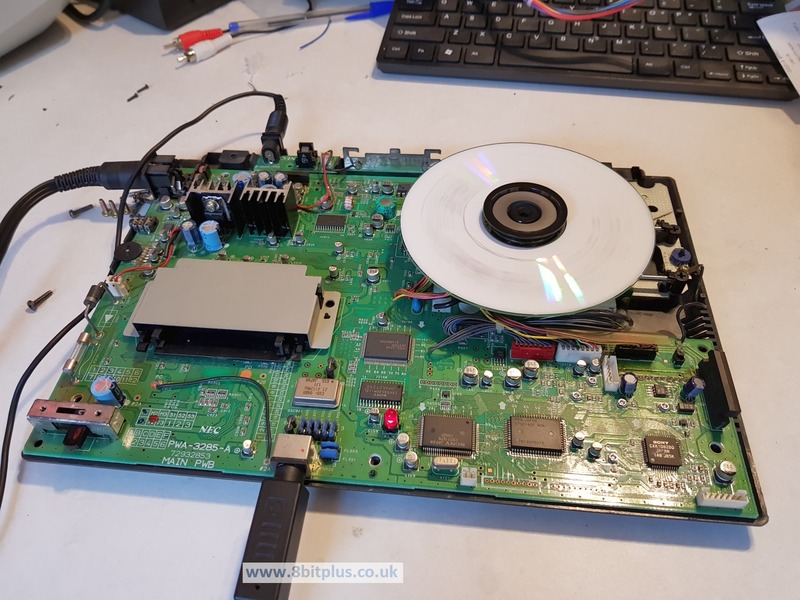 When presented with the “Press Run” screen nothing happened except the laser diode was lighting up and trying to focus on the CD. When the laser is too near or far it cannot gain focus, therefor the CD motor will not engage. The main drive spindle had sunk or dropped. I’m not exactly sure how this can happen, but I’d seen it before. It needs raising up again for the laser to focus. 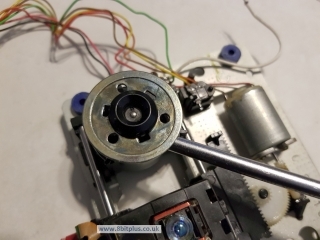 The solution I found was to remove the 2 tiny screws holding the spindle motor to the black plastic of the drive. Going through the spindle holes with a small Philips screw driver works best. Removal of the screws causes the motor drops down opening up a small gap between it and the plastic housing. Next wind the laser to the far end of its track so you have space. Then insert a larger flat head screwdriver between the drive and housing, and carefully twist it just a fraction. This pushes the spindle up and away from the motor. Its a case trial and error to get the clearance right. When the clearance is just right the spindle should sit right above drive plastic again. 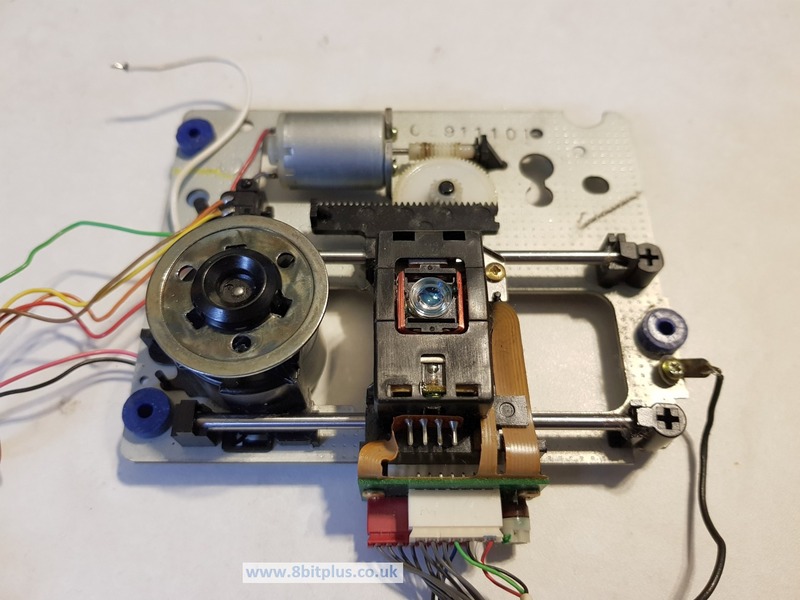 Now the spindle is correctly positioned, the laser diode could achieve focus, and the CD-Rom worked correctly! It even read CD-R without problems. Look… Castlevania Rondo of Blood! 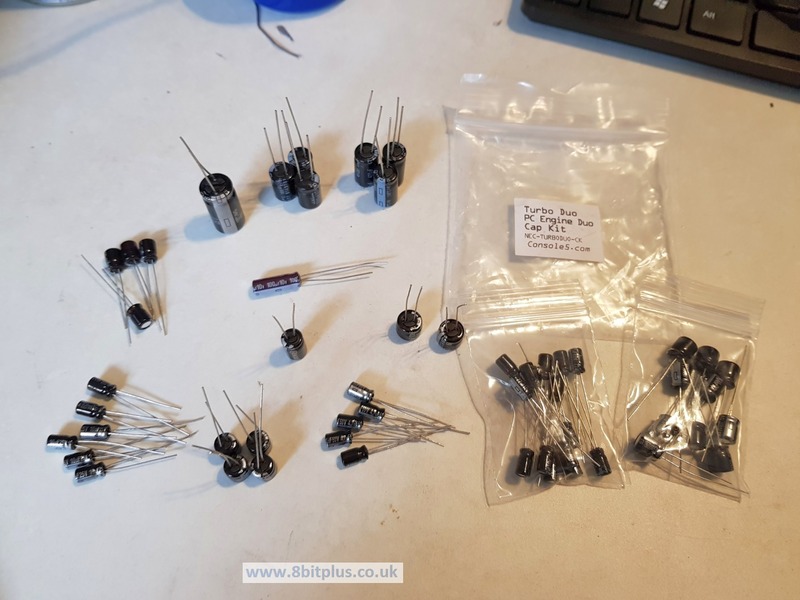 Next I started replacing all the original capacitors. 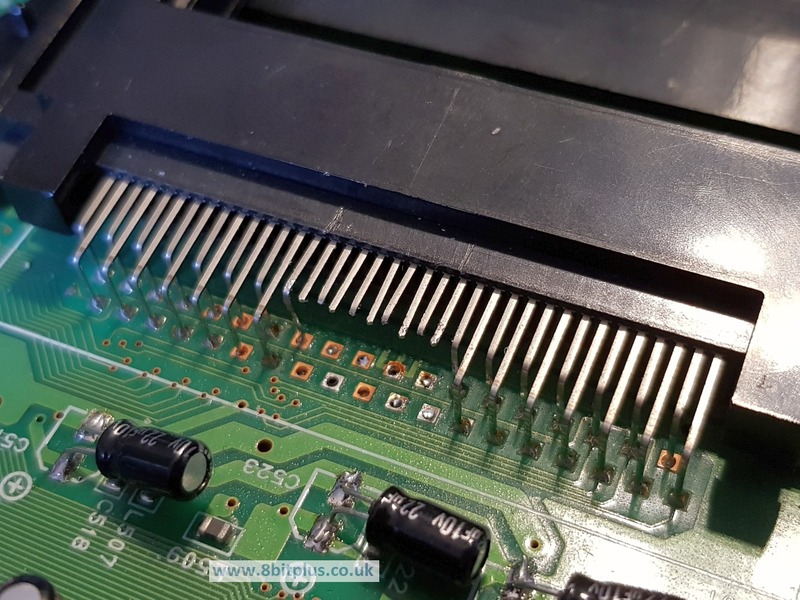 The PC Engine Duo is known to suffer capacitor problems, and although this one looked at a glance I spotted a couple of discolored solders which is a sign of leakage. 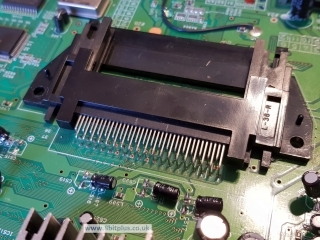 The through hole caps are easy to remove, but the SMD components need more patience. 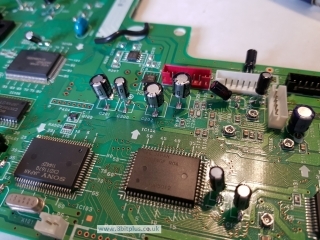 My preferred method is to heat the solder one side at a time and gently lift up. 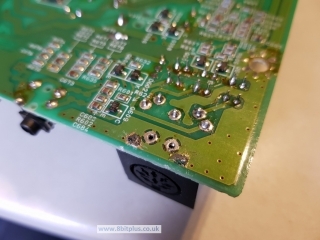 Sometimes the pinch and twist method works well, but you have a small chance of damaging the solder pads that way. I never cut them off with wire cutters. The new cap kit i’m using replaces the smd caps with Radial Lead Capacitors. The new capacitors need trimming and shaping, then soldering to the now cleaned pads. Polarity for each cap is marked on the board. 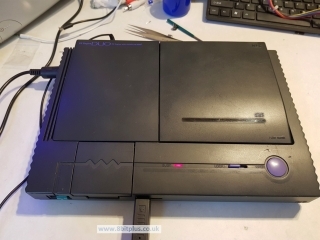 I cannot believe NEC didn’t include RGB output on this high-end console. Sega did on all of theirs! 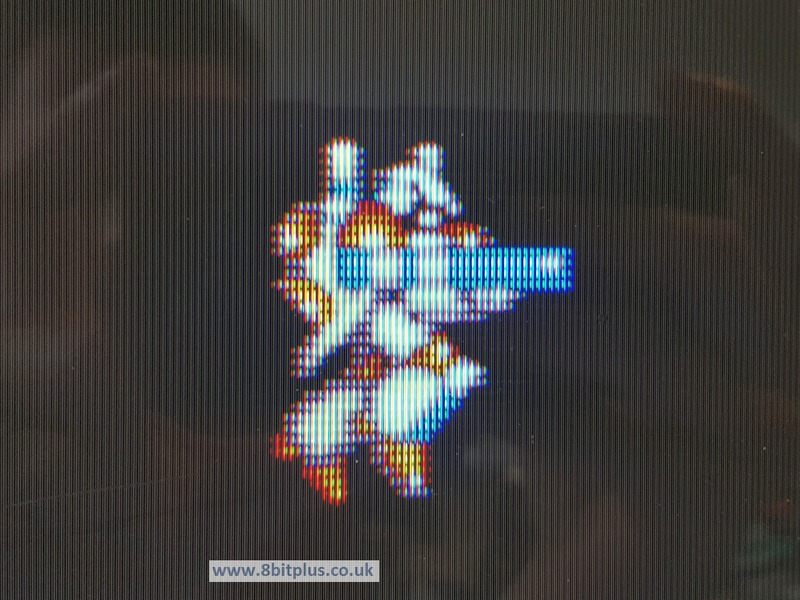 Anyway NEC did include RGB output signals on their video processor so that is a start. The video signals need amplifying to be any good for a TV. 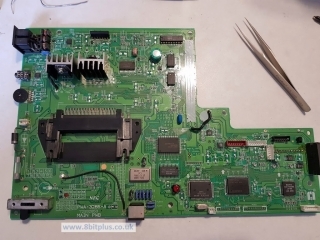 A while ago I made my own PCB to do this, but for this commission I’ll use a SilverFox board from eBay. Firstly I need to replace the original 5-pin video connector with a 8-pin socket. 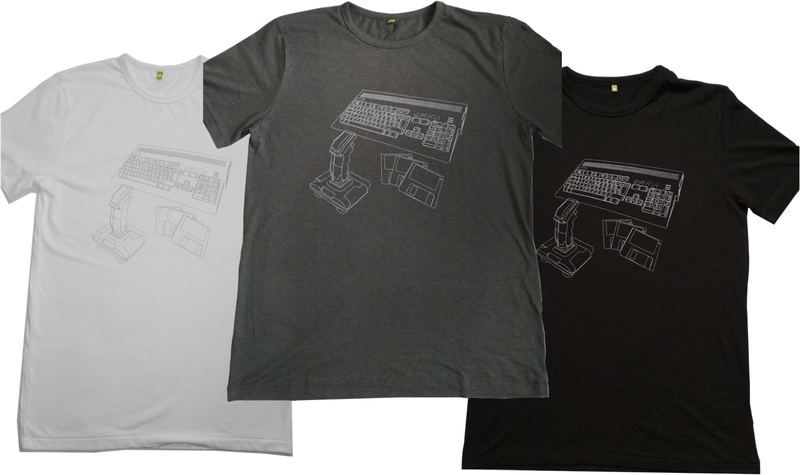 This allows for the extra Red Green and Blue video signals. 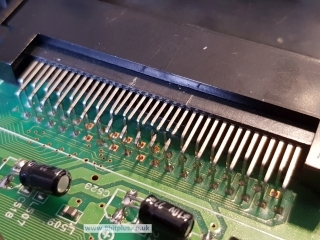 As there are no holes in the board for the 3 extra pins, the legs need trimming off. Two front earth pins are also in different places, therefore I needed to drill through the board for them. Next I tapped the RGB signals from the Video Chip and ran them to the amplifier. 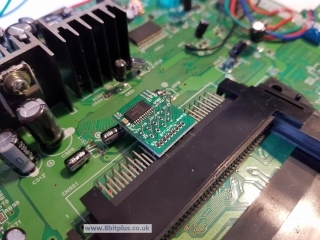 From there the output is sent to the new connector. 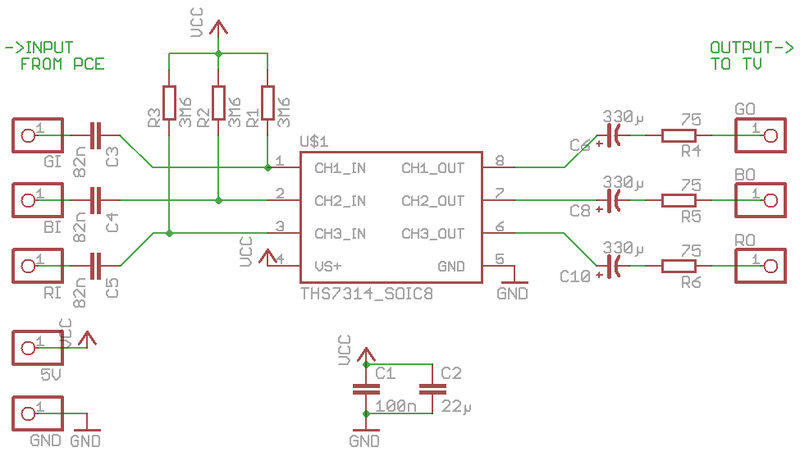 The amplifier is also supplied with 5v and GND. 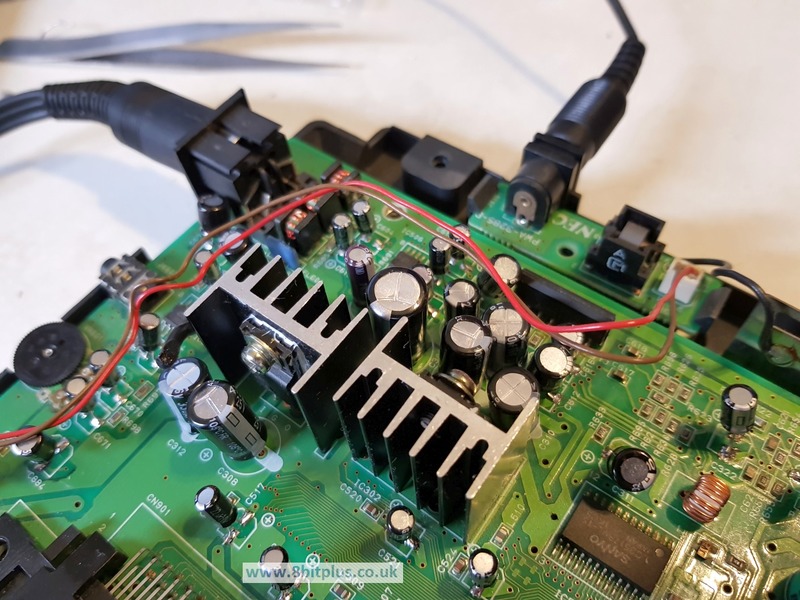 Sync signal is also tapped off the video chip and send directly to the underside of the port to replace the Comp-video signal. The Comp-Video line can be used with RGB signals, but it can sometimes lead to noise the image. 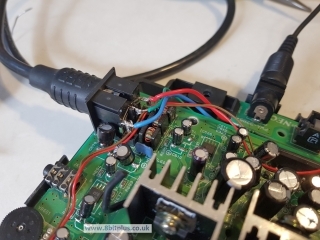 The two video video lines can be selected by a switch so Composite video cables can still be used. 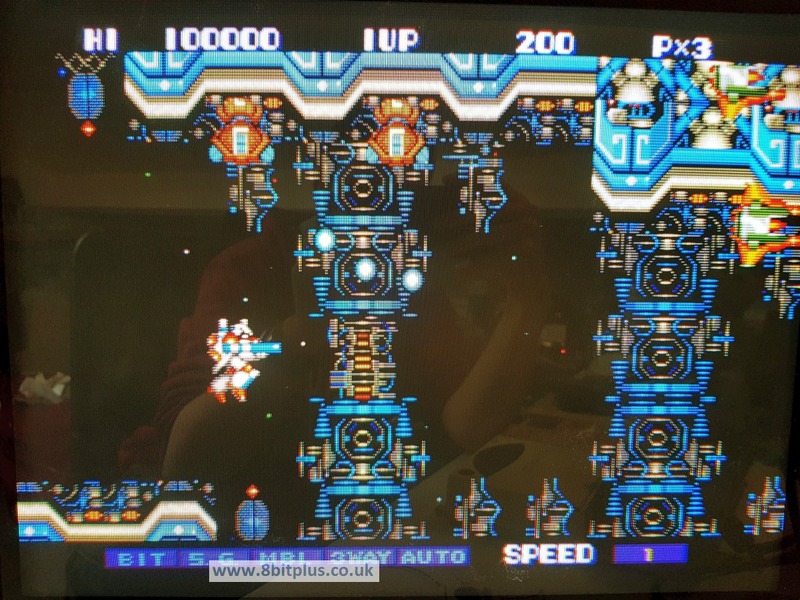 Looking much better than the composite video, but its very hard to take good photos of images on a CRT TV. As the PC Engine DUO is a Japanese console, its not compatible with US or EU TurboGrafx cards. 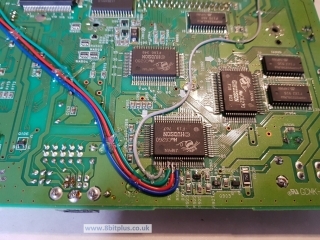 This is the mod chip I’m installing. 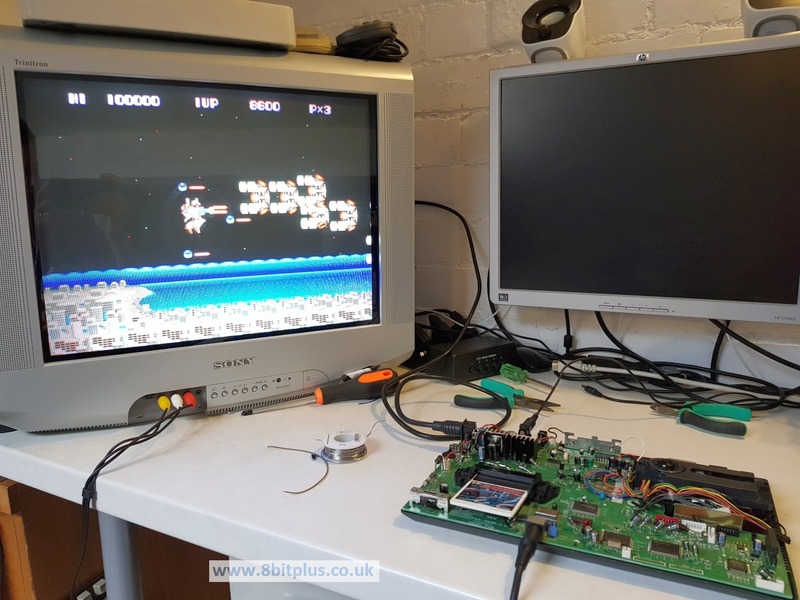 It sits inline with the cartridge connector and provides the signal change to determine region. 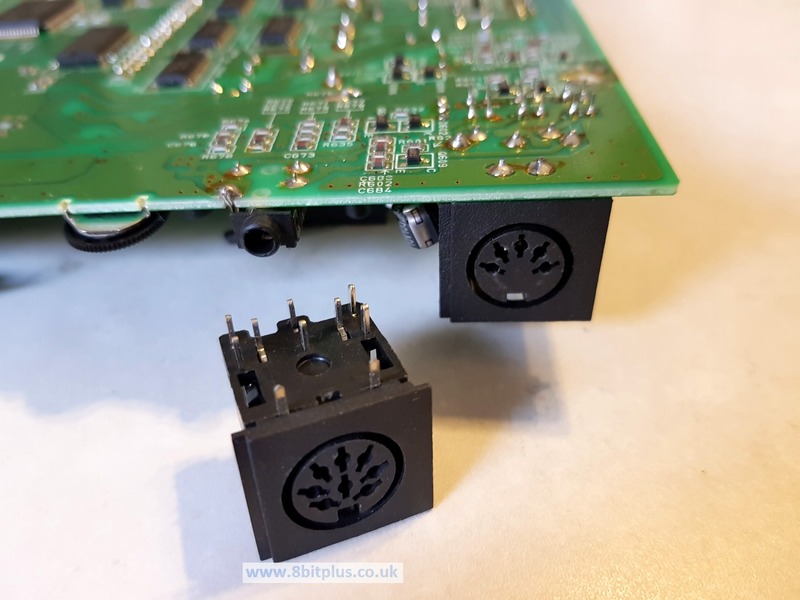 The mod board can be installed in two different ways. Either by cutting the pins and soldering wires to the region mod board. Or by connecting it directly to the pins. The second method makes a better connection with less chance of going wrong down the line. I went with the second method. Firstly the set of pins are identified, then cut along the 90 degree bend. The section of the pins connected to the cartridge slot are the bent upwards ready to be soldered to the mod chip. 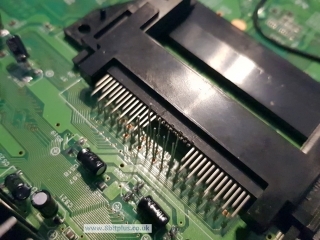 The remains of the pin that connect to the motherboard are removed. I had to desolder these from the reverse side of the motherboard. 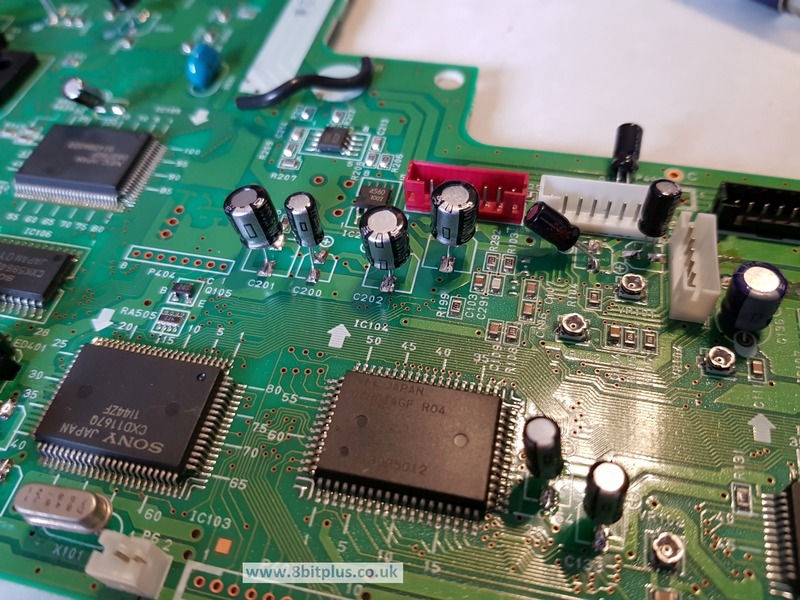 Next I replaced the original pins lengths of wire (off cuts from the new capacitors installed above) and the mod chip is installed on top. The 2 position switch is mounted in the rear of the case. What else did I do… Oh yes, I could see some “jail bar” interference in the solid colors in backgrounds. Its no where near as bad as on my Famicom, but it’s there if you know where to look. 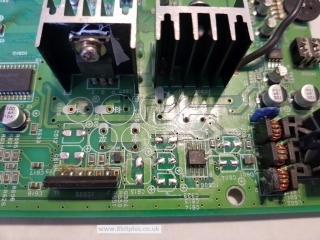 The solution is to change 2 decoupling capacitors on the board therefore removing the interference. Link to this fix. The replacement SMD caps came with the cap kit from Console5. Finally, when re-assembling the Duo I fount the the CD drive was still sitting slightly too low in the case. 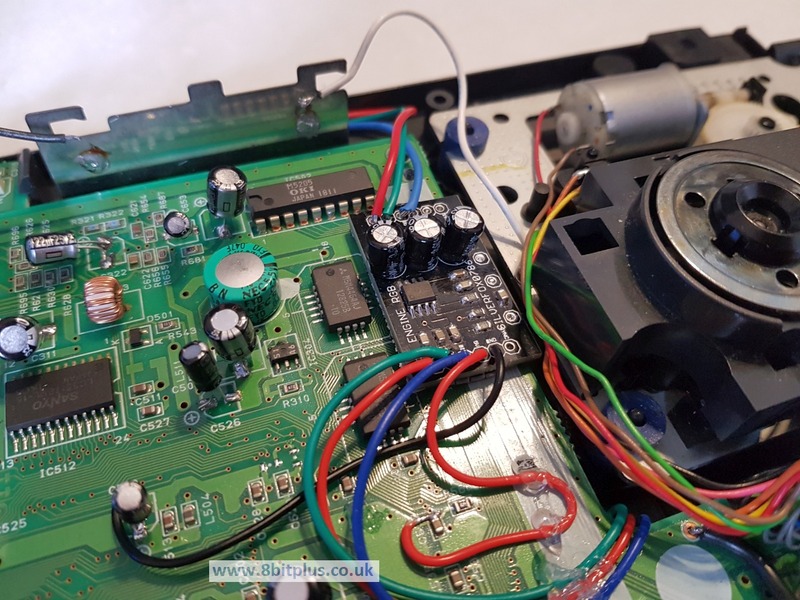 Although the CD was no longer catching inside the tray, the lid magnet that holds the CD down to the metal spindle was not getting a good contact and causing the CD to slip. 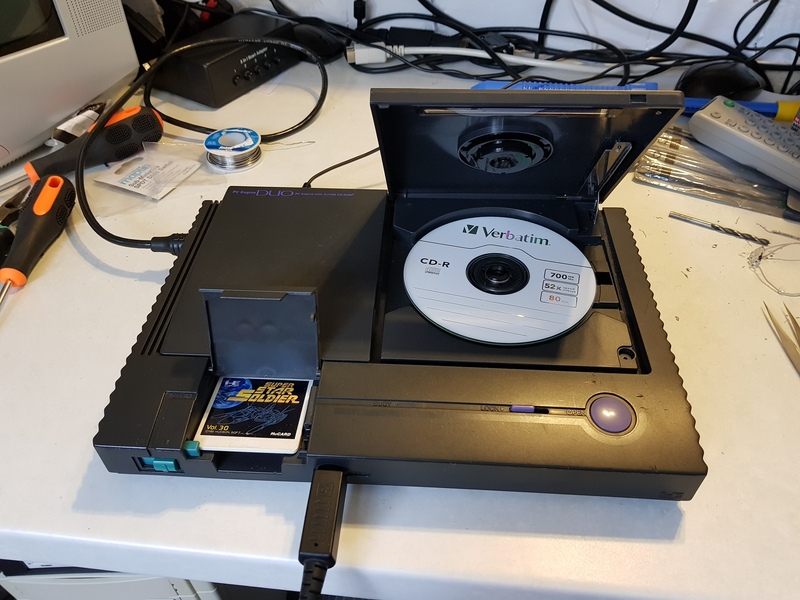 The solution to this was to make spacers to go under the CD-Rom drive holders. All finished and ready to return to the customer. 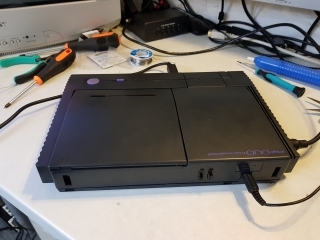 This PC Engine Duo should provide problem free retro gaming for many years to come. 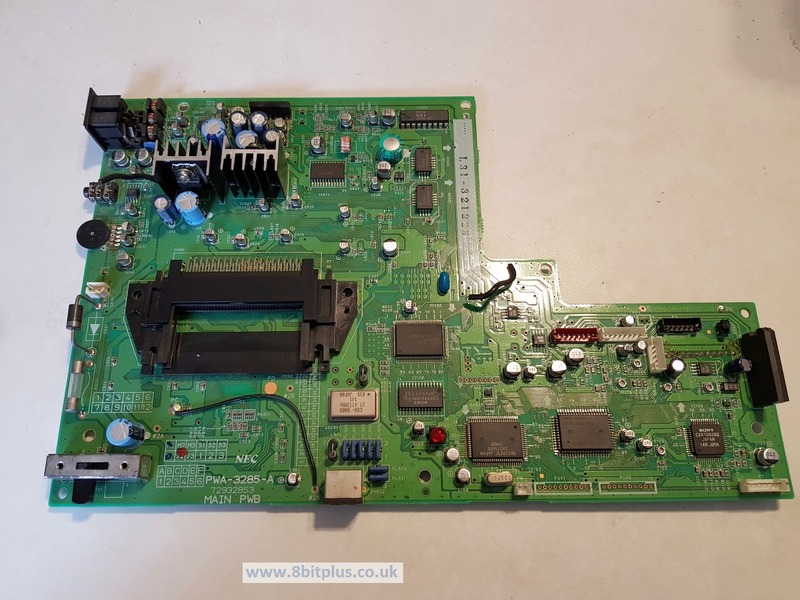 If you have an console that needs servicing, repairing or upgrading, please get in contact here. If its the first (black) Duo then it sounds like a capacitor problem. 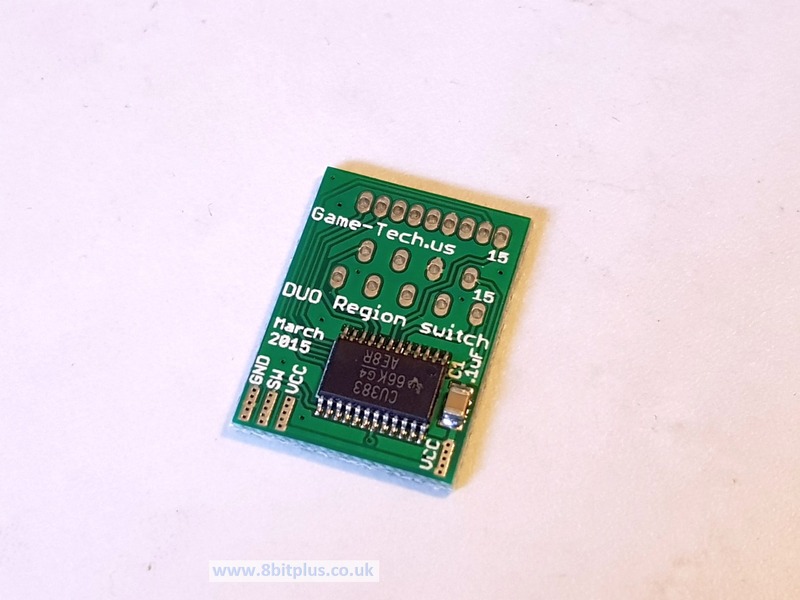 Is your Duo fitted with a region mod? Send me an email if you want to talk about getting it fixed. Hi, I’m in trouble with another pc engine, white version… the cd don’t spin but motor yes… if I remove the plastic motor/lens cover and put the cd and the magnet in place… all ok the game load fine…. a good inspection show that the spindle plate is minus than half mm lower than the plastic border. I tried your method but the spindle is at the hightest position and no go over (even if I dont understand how the spindle can go hight with the flat screwdriver turn). I menaged to read the disc with the plastic cover in place putting a ring of cardboard between the cd and the spindle plate but isn’t a good solution. So my idea is that the magnetic ring have loose its power and no lift up the spindle plate as it should do… if you understand my bad english can you help me again with a good suggest? Hi mate. I’d love on to checking ground quality and checking if any vias (the little from holes) are clogged or corroded stopping a ground signal passing through. Is there any fixable damage from cap leaks? 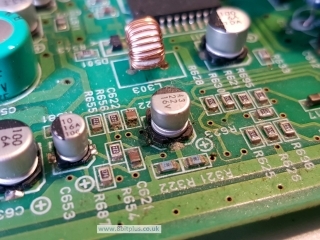 ok… finally fixed it… found another closed via that I not fix on the first inspection (two vias corroded in total) !!! many thanks again for your help!!! Nice one 🙂 I sometimes shine a LED flash light through the board to check the via’s. of course that only helps if there isnt a chip in the way. 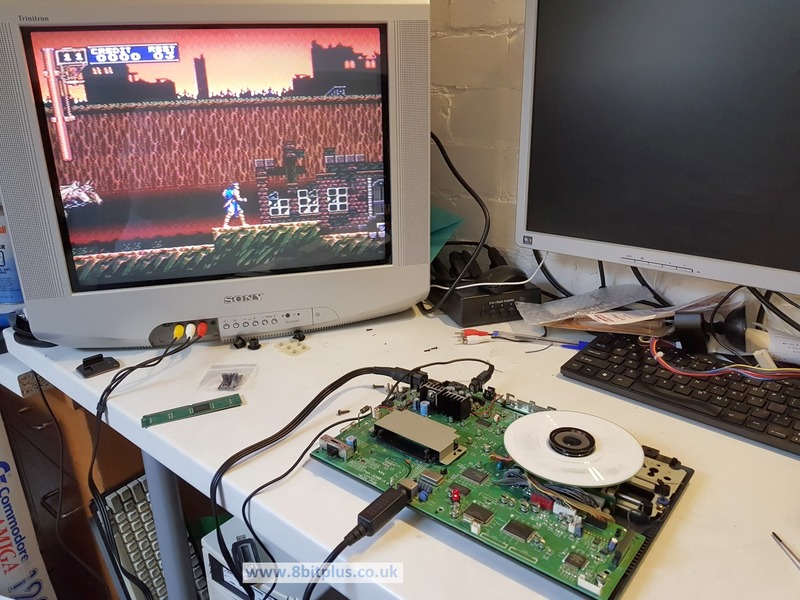 Hi, I’m working on two PC-Engine Duo-R with Super CD-Rom2…. both working but one with no audio and no load cd, and one with audio and no load cd. I got a HOP-M3 pickup laser from ebay a while ago and that worked fine. Hi, I’m looking for an info abot the 4558 op-amp on this board… do you can tell me the right voltage to pin 4 and pin 8? 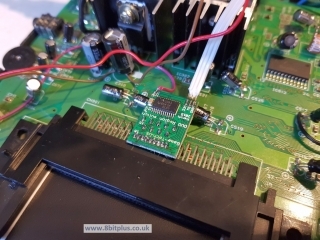 On my Duo Cd2 some via are corroded and havo no connection to this pin… now i fix the pin 8 to take 8V but pin 4 stay to GND… this is OK or still wrong? Hi. 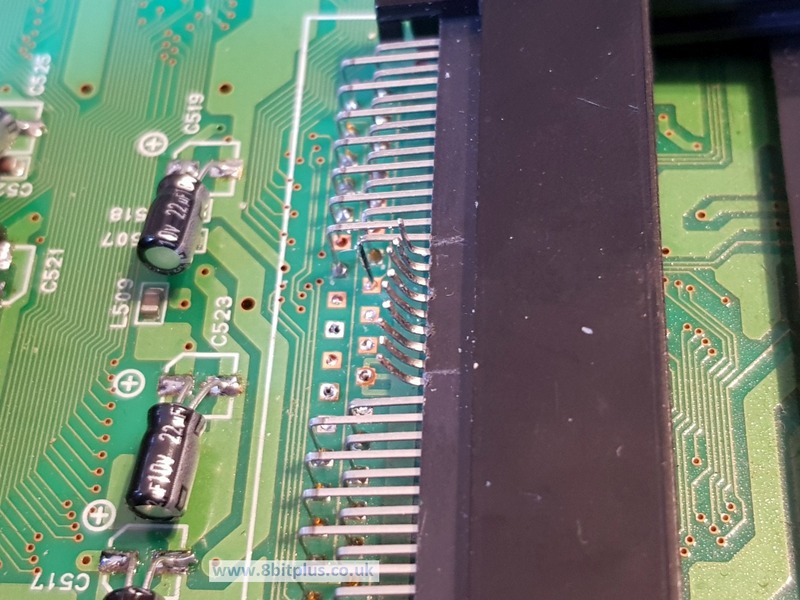 The voltage on pin 8 is about right. I get around 7.9/7.9v. Pin 4 is ground yes. 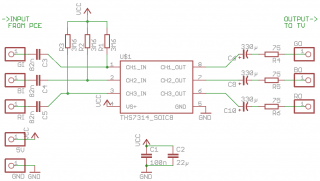 all other pins should have a low voltage. I’d change the OP Amps out if you suspect any problems. Especially the 2 on the under side of the board. Yes, I will change one or more because have sound with “crack and sparckle” over it!!! Hi Dave. No problem. It will be the capacitors if they haven’t been changed yet.